The 2015 National Teacher of the Year from Amarillo is spending two weeks in China’s Shandong Province on an education junket that began Wednesday and runs through March 27. Chinese education officials asked Peeples to get them a copy of her interview with Panhandle PBS CEO Ellen Robertson Green, which originally aired in November as an episode of our local public affairs show, Live Here. That Live Here episode will air again at 7 p.m. Thursday, as a matter of fact. Peeples said her Chinese hosts want the Live Here interview as a means of introducing her to her audiences there. They’ve mentioned some sort of 1,000-foot screen – “whatever that means,” Peeples said – that will be used to show it in one venue. One of Peeples’ intinerary coordinators said a simultaneous interpretation translation service will be used that is one to two seconds behind the audio, so that audience members can listen to it via headsets. 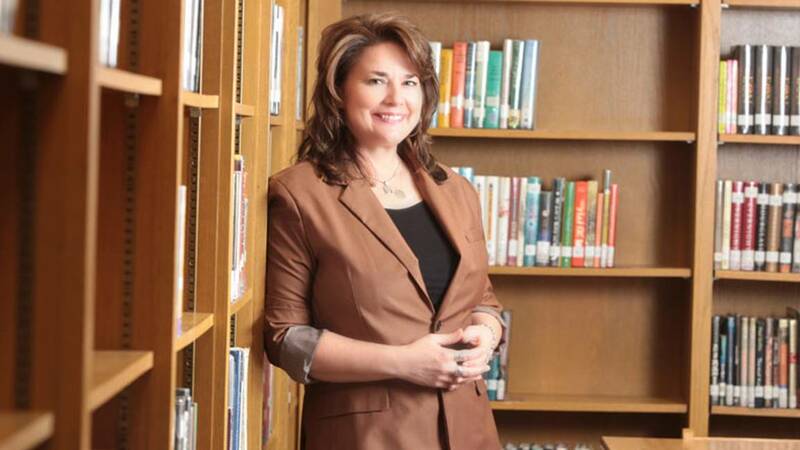 The Palo Duro High School teacher is to deliver speeches that, among other things, discuss improving student confidence and hope – something Peeples has been doing, and doing well, on a large-scale basis since she was named teacher of the year in April 2015. But it’s something she did long before that, in her classrooms within the Amarillo Independent School District. During her Live Here interview airing Thursday, Peeples discusses the power of teachers to influence lives, and gives her take on poverty and educational challenges. She also relates experiences she had while interacting with educators on a trip to Lebanon, Israel and the West Bank. Peeples has traveled thousands of miles in her national role and will add to the odometer on this trip. She’s ready to interact with the Chinese people, she said. “Colleagues of mine who have been to China tell me that the Chinese treat American visitors as something like celebrities. They assure me that I will be asked by passersby to be in photos as it is considered hip to have a Caucasian in photos to text their friends using the popular service QQ, and to post on RenRen, their version of Facebook. Look for Peeples to continue sharing her thoughts with the Panhandle PBS community soon as we bring her aboard as a blogger. We’ll have more details about that for you in the coming weeks.